Xavi misses out but Lionel Messi makes the cut, what about Cristiano Ronaldo? 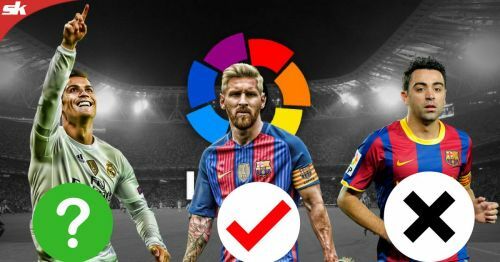 La Liga has witnessed some of the greatest names to have graced the game fight for top honours. From Telmo Zarra, Alfredo di Stefano and Diego Maradona to Raul, Cristiano Ronaldo and Lionel Messi, the Spanish league has been enthralled by one and all since its inception way back in 1926. A grand total of 9,280 players have featured in the first and second division of Spanish football, including 854 goalkeepers up until the end of the 2016/17 season. Centro de Investigaciones de Historia y Estadística del Fútbol Español (The Centre of Historical and Statistical Investigations of Spanish Football) had taken up the arduous task of analyzing all of these footballers to statistically determine the greatest ever to have played in the hallowed stadiums of Spain. The study was conducted by Jose Antonio Ortega Ruiz, who used coefficients like goals scored from open play, minutes played by season, penalties scored, own goals, red-cards and other parameters to chalk up a list of the best of the very best to have graced La Liga. Guillermo Gorostiza Paredes’ footballing career spanned over 20 years and saw him play for as much as 7 football clubs, all situated in Spain. However, the forward is famous for his spells with Athletic Bilbao and Valencia, where he spent a combined total of 17 years. Signed from Racing Ferrol, Gorostiza helped Athletic Bilbao win the league title in his first year at the club coupled with the Copa del Rey, as he was also awarded the Pichichi for his individual exploits. 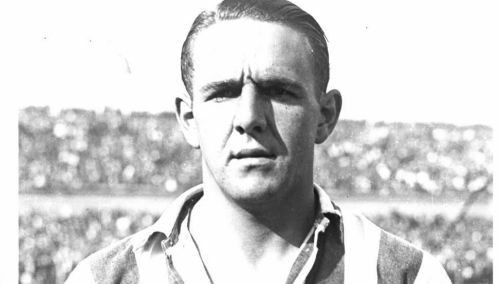 During the 11 years he spent at the Basque outfit, the club could only participate in 8 league campaigns due to the Spanish Civil War between 1936 and 1939. Despite the odds, Gorostiza helped club Athletic win 4 league titles, coupled with another 4 Copa del Rey trophies, while being crowned the Pichichi winner on two occasions. After the culmination of the war, the Spaniard moved to Valencia, where he spent another 6 successful seasons, helping Los Che win the La Liga title on two occasions, along with a solitary Copa del Generalisimo (Copa del Rey). In all, Gorostiza amassed a total of 181 goals in 255 league games – an incredible feat. To add to that, he is also the 3rd highest scorer in the history of Copa del Rey, having notched up 62 goals in total. The Athletic Bilbao legend features at 10th position in the ranking, with an overall score of 454.